This is the time of year where every cookie recipe I have baked or dreamed of baking gets created in my kitchen. 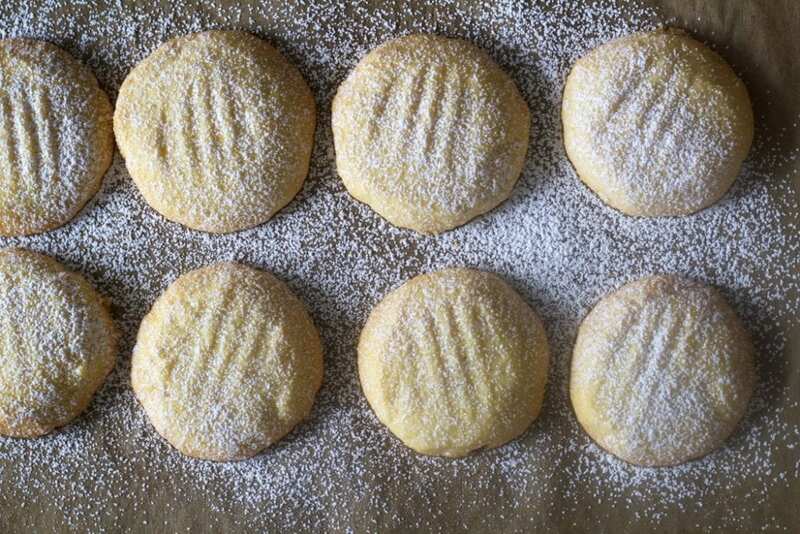 These lemon polenta cookies (biscotti di meliga) are a cookie favorite any time of the year, but are especially lovely to add to your holiday cookie baking list. The cookies are from the Piedmont region of Italy. They came about during tough economic times in Italy when it was cheaper to bake with ground cornmeal than with flour. The bakers substituted a portion of the wheat flour with a portion of finely ground cornmeal. I decided to give these cookies a go with gluten-free flour. As with many cookies in Italy, these are paired with a wine. In the Piedmont region where they were created, you would typically enjoy them with glass of moscato d’Asti for dessert. 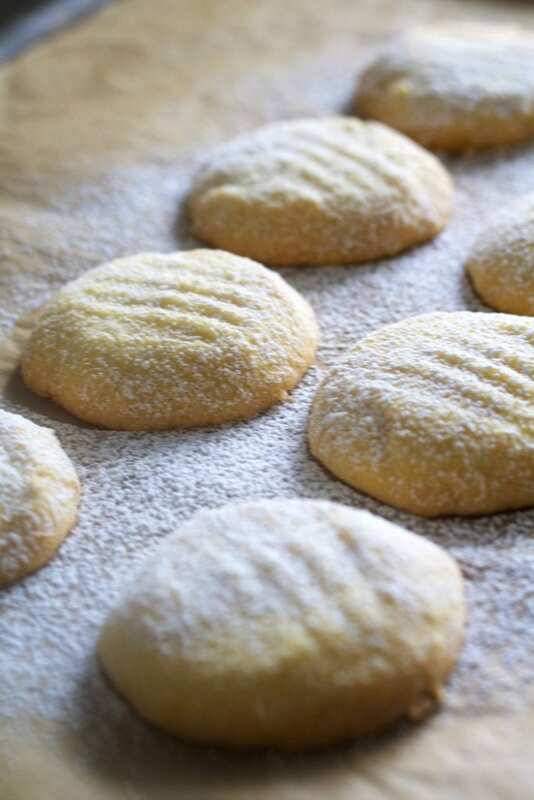 As it is with any traditional food in Italy, you could pick up these cookies at many grocery stores and if you are lucky to be visiting the Piedmont region, try them from a local bakery. In the meantime, bake your own at home. 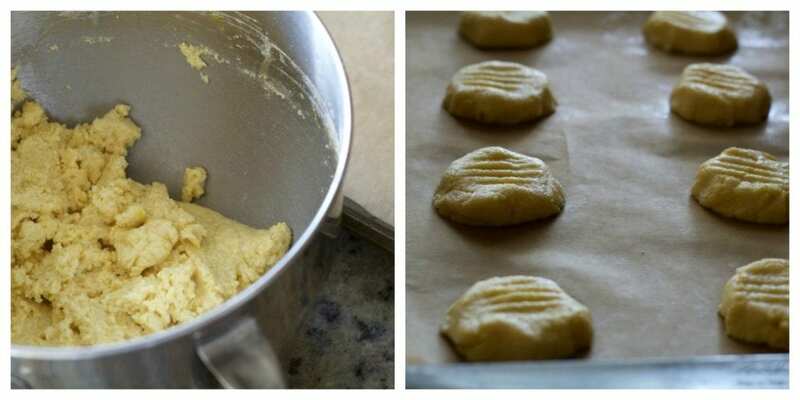 polenta sheet cookie that you just break apart (talk about fun and easy!). The point is, you have to make these cookies…they are just delicious! And if you aren’t interested in a gluten-free cookie, use your favorite all-purpose flour (or even whole wheat flour) instead. 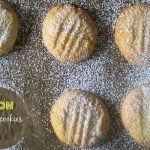 I used King Arthur Flour – gluten free multi-purpose flour for these cookies. Just so you know, I have no affiliation with King Arthur Flour. I know a friend or two that use their GF multi-purpose flour and thought it would be a good one to try to bake some things with during the holidays. You could also use your own custom blended GF flour or use another brand or even use all-purpose flour, the cookies will still be great! Did I tell you how much I love these cookies? I love the subtle corn flavor and the sweet buttery aroma. I love the touch of lemon zest and how crumbly and delicate they are and how easy the whole recipes is to put together. They are so perfect to have for breakfast with your hot coffee (espresso, cappuccino or a relaxing cup of tea). And in the afternoon when you need a relaxing bread, you will find yourself grabbing another one or two with your afternoon coffee (at least I find myself doing that). Go ahead and have one in the afternoon, you deserve a break! 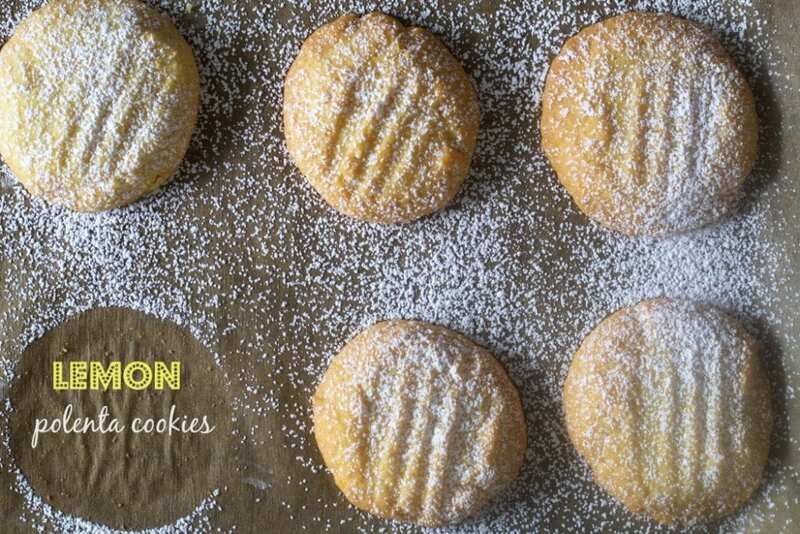 Light and delicate Italian cornmeal cookies that are bursting with lemon flavor and are gluten-free. The perfect cookie to add to your holiday baking collection. In the bowl of a stand mixer, beat together the butter and sugar until smooth and fluffy, about one minute. Add the lemon zest and juice, mixing until incorporated. Beat in the eggs, one at a time, mixing well after each addition. Mix in the vanilla extract. In a separate medium bowl, whisk together the flour, cornmeal, baking powder and salt. Add the dry ingredients to the butter mixture and beat on low speed until just combined. Cover the dough with plastic wrap and refrigerate until cool enough to handle, about one hour. Pinch off dough by the tablespoon and roll into balls. Place balls on parchment lined baking sheets and flatten into discs with your hand. Press down gently on the cookies with a fork. Bake for 13-16 minutes, until cookies are pale on top and lightly golden on the bottom. Transfer cookies to a wire rack to cool. Dust with confectioner's sugar. I haven't had cornmeal cookies in ages! These need to happen in my kitchen! I've never heard of these cookies before, but I love that they call for cornmeal! I bet that combined with lemon is absolutely delicious… and I've gotta make these this season! I love the addition of a bit of corn flavor! These look so delicious! Gosh I had no idea corn meal worked with cookies. Love how these are gluten free too. And Italian's are genius for thinking of pairing wine with cookies! I love King Arthur's GF flour too! These cookies look delicious. Grazie mille ! Tornero !